Notes: Short Heath was situated on the eight-mile double-track Wolverhampton and Walsall Railway (W&W) which was authorised on 29 June 1865. The line took seven years to build, opening on 1 November 1872. It was intended that from the opening of the line it would be worked by the London & North Western Railway (LNWR) and the Midland Railway (MR). Short Heath opened with the line on 1 November 1872. It was located on the east side of Clarkes Lane which the line crossed on a bridge; the suffix ‘Clarkes Lane’ was, at times, added to the station’s name. 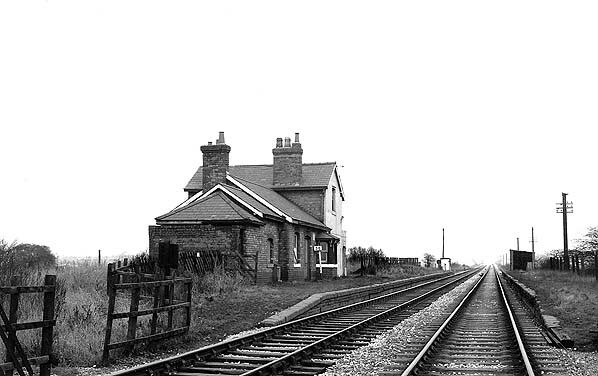 The station was on an embankment and was approached via a driveway that connected to Clarkes Lane on the north side of the line. There were also paths for pedestrians that connected directly to the lane from both platforms. The main facilities were in a two-storey, brick-built structure on the up (Walsall direction) platform. There were two adjoining sections, each with its gable at right angles to the platform, that at the eastern end being much smaller in extent and lower than its neighbour, and recessed from the platform. 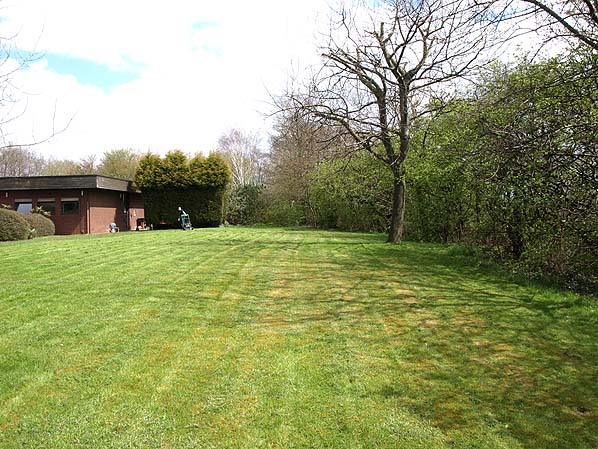 A single-storey range with a bay window extended westwards from the larger two-storey section. Initially goods facilities included a small goods office on Clarkes Lane to the north of the station and a single siding. At the time of opening Short Heath would have been served by trains running between Wolverhampton High Level station and Walsall, both of which were in LNWR ownership. In 1875 the LNWR bought the W&W, but a year later sold it to the MR. The MR was interested in the W&W because it had taken over the Wolverhampton, Walsall & Midland Junction Railway (WW&MJR) in 1874. The WW&MJR had, with MR support, been authorised on 6 August 1872 to build a line from Castle Bromwich/Water Orton (on the MR main line between Birmingham and Derby) to Walsall that also made an end-on connection with the W&W line. The Castle Bromwich line opened on 1 July 1879 giving the MR direct access to Wolverhampton. From this date Short Heath was served by trains running between Birmingham New Street and Wolverhampton High Level via Walsall (where reversal was necessary). The December 1895 timetable showed Short Heath as having five up and six down services on Monday-to-Saturday as seen in the table below. There were three services in each direction on Sundays. In January 1909, to avoid run-round moves at Walsall, the MR diverted most of its Birmingham and Wolverhampton trains to run between Walsall and Wolverhampton via an LNWR route that had been created by the opening of connecting curves in 1881; this resulted in a much reduced passenger service at Short Heath. To compensate some LNWR trains ran via the MR route. By doing so they could avoid a reversal at Walsall, but one that had been in the opposite direction to that of the MR trains. The April 1910 timetable showed Short Heath as having three MR and two LNWR services in each direction Monday-to-Friday. On Saturdays there was an extra MR service in each direction and no trains on Sundays. By December 1922 the service had reduced further, there being only three trains in each direction Monday-to-Saturday. By the 1920s a gas works had opened to the north of the station goods yard. It was provided with its own sidings. On 1 January 1923 the LNWR and the MR became part of the London Midland & Scottish Railway. The LMS further concentrated the passenger services over the former LNWR route and withdrew it completely from Short Heath (and from the other surviving intermediate stations on the former W&W line) on 5 January 1931. Short Heath station remained open for goods. On 1 January 1948 Short Heath became part of British Railways London Midland Region. The line continued to be a busy freight route throughout the 1950s. On 10 August 1964 Short Heath became a coal depot only. The former W&W line closed as a through route on 28 September 1964. The line was broken a mile to the east of Short Heath at the site of Bentley station to facilitate the construction of the M6 motorway. Short Heath closed completely on 7 December 1964 and the line was lifted back to Wednesfield. By the late 1960s the bridge over Clarkes Lane had been removed and the station had been demolished. The site of the station was later developed with a fire station. Tickets by Michael Stewart, timetable from Chris Totty and route map by Alan Young. Looking east at Short Heath station from the Clarkes Lane overbridge in 1960. Although the station had been closed to passengers for twenty-nine years it retained its original features. The line was also still open at this time as through route. Short Heath station shown on a 1885 map. 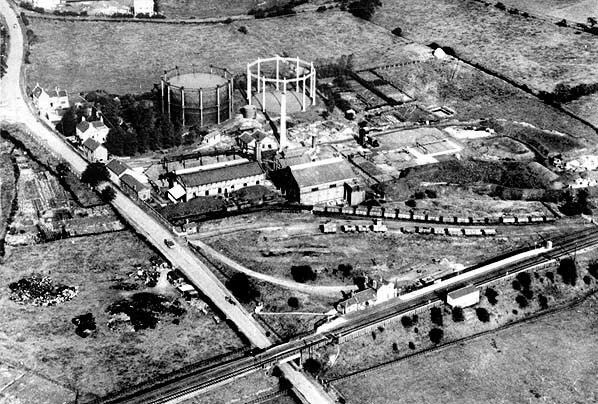 An aerial view of Short Heath station and the neighbouring gas works. 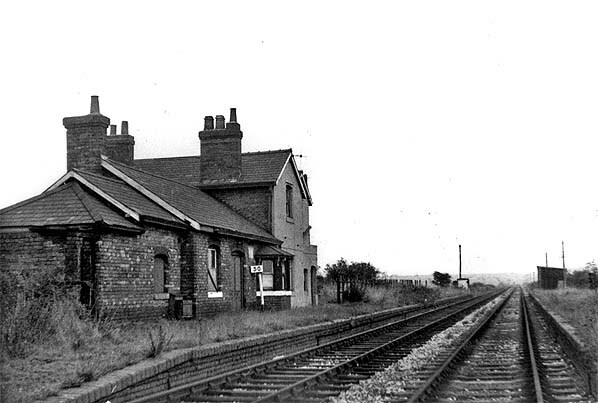 Short Heath station looking east from the down line in October 1965 after trains had ceased to run. 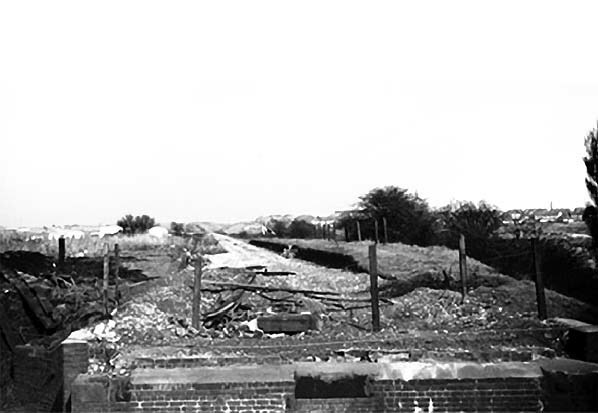 The site of Short Heath station in the late 1960s. The overbridge had been removed but the down platform still survived. Looking west from the western end of Short Heath station in April 2013. On the far side of Clarkes Lane the embankment had been demolished for factory expansion. 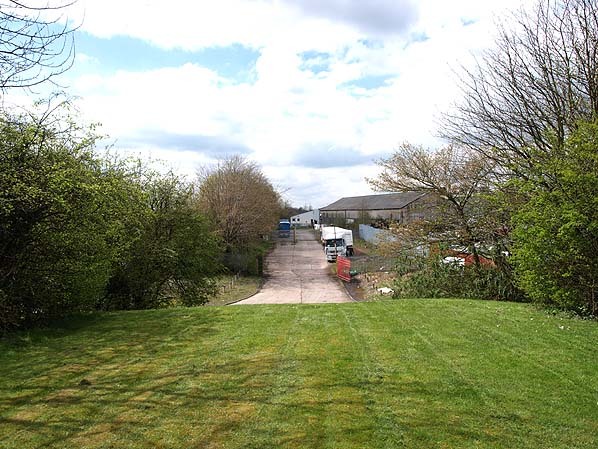 Looking east at the site of Short Heath station from a similar position to the 1960 view above in April 2013. The building to the left is the Willenhall No 3 Fire Station. 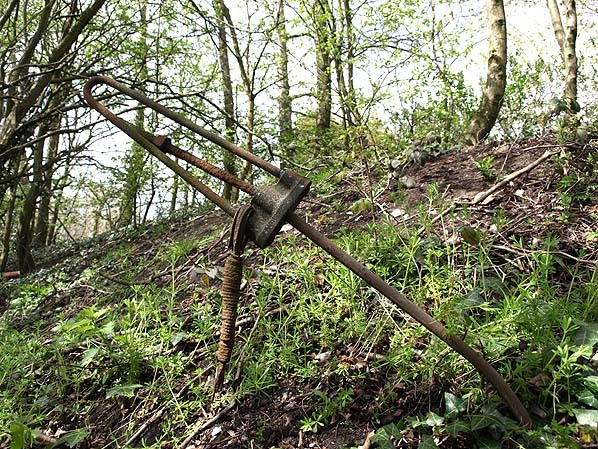 A Stay Rod and Stay Tightener which supported a telegraph pole at the rear of the down platform of Short Heath station seen in April 2013. 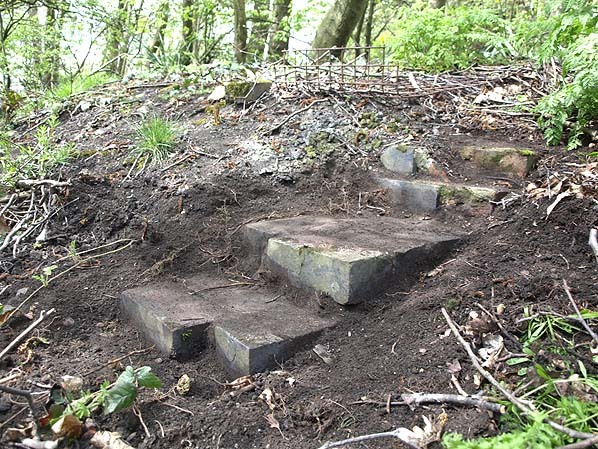 Surviving steps at Short Heath in April 2013. They are at platform level and formed part of a link between the down platform and Clarke's Lane.